Crime scene photography kits are a must for professional forensic investigators or amateur shutterbugs wanting to explore techniques shown on television shows like CSI: Miami. For professional crime-solvers, proper documentation of evidence via pictures is invaluable regardless of the type of crime. Photos speak volumes when it comes to communicating crime scene information. In some cases, pictures taken at a crime scene, such as footprints, fingerprints, blood stains and even teeth marks can provide more information than written notes. 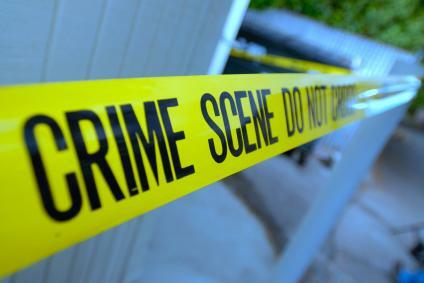 Consequently, it is critical to have a decent crime scene photography kit. Depending on the size of the department and magnitude of the crime, some photo kits also come equipped with an extra camera and batteries. Other equipment, such as scales, a gray card to aid in proper exposure, and small camera repair tools are also included in most kits. Experienced forensic photographers may add other items to a crime scene photo kit, such as a rag or handkerchief to diffuse the flash, a color chart, clothespins and small blocks of wood or weights to prop up or position evidence for close-up shots. Given that good shots of crime scene victims are so vital to the investigation, it is crucial that the photographer have a professional grade camera. While you don’t need the most expensive camera on the market, you don’t want to be snapping photos of a homicide scene with a simple point-and-shoot camera. These days, most high-quality photo kits come with DSLR cameras, such as a Nikon D90. Like other cameras in its class, the Nikon D90 allows forensic investigators to change lenses at will to accommodate specific shooting conditions. For example, if the forensic photographer needs to document blood splatter or fingerprints, then he will need a macro lens to get up close without compromising the integrity of the scene. Extreme close-ups are hard to capture with a standard 50mm lens. By switching to a macro lens and adding close-up filters you can capture fine details with the level of clarity needed in forensic photography. Conversely, if photos of an accident are needed, an investigator can attach a wide angle or fish-eye lens to the camera to show the scene in perspective. Likewise, a 135mm telephoto zoom lens could be attached to help with surveillance photography. When selecting a camera to document crime scenes, you should also consider lighting. In most cases, you need more than a built-in flash in order to take clear shots. Be sure the camera can accommodate an exterior flash and compensate for any additional portable lighting that you may need to use from your crime scene kit. While you may have access to a superior crime scene photography kit, if you are not comfortable working with its contents, especially the camera, you will never be able to capture the quality of shots that are needed to help the police investigation. It is vital that you spend time familiarizing yourself with the camera features and the kit supplemental tools. Remember, your photos will end-up as court evidence and may be the only permanent record of a crime scene. If you know how to properly handle a photo kit camera, then your shots could mean the difference between life and death for someone accused of a crime.